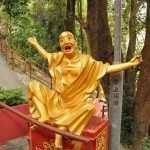 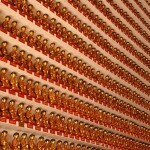 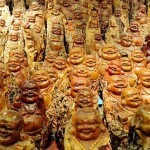 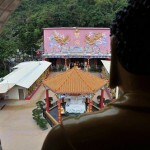 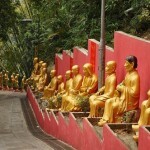 Interestingly, these Buddha sculptures stretch for as far as the eye can see. 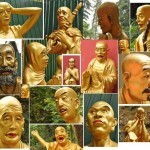 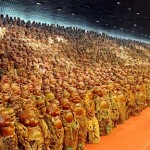 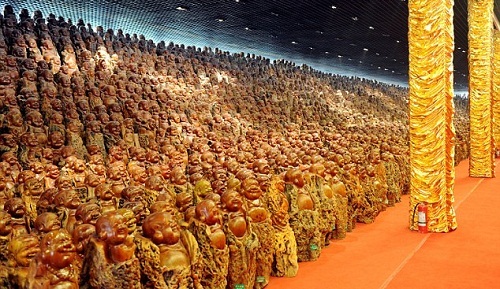 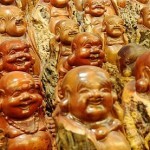 In fact, there are 8,000 of them in all and each and every one – painstakingly carved from dead jujube trees. 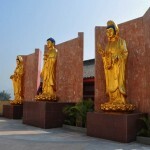 Varying in height from 1m to 1.5m, they are on display in Zhengzhou, China, however, soon they will decorate the Ten Thousand Buddha Garden. 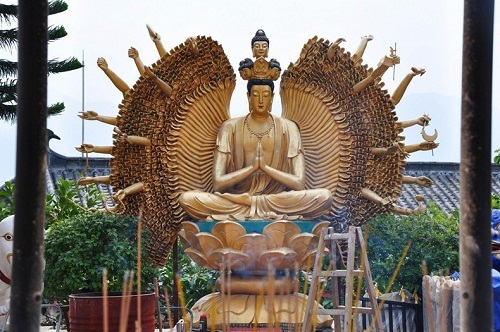 Traditionally, Buddhism is a spiritual religion that focuses on personal spiritual development and the attainment of a deep insight into the true nature of life. 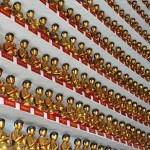 Besides, Buddhism teaches that all life is interconnected, so compassion is natural and important. 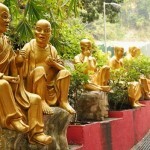 Noteworthy, it was Yuet Kai, a monk who preached Buddhism in a local monastery, founded The Ten Thousand Buddhas Monastery in 1951. 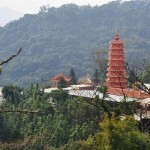 The construction of the monastery began in 1949. 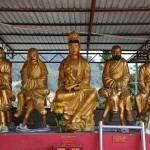 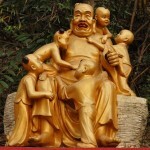 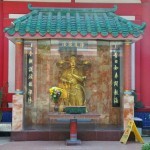 Despite his old age, Yuet Kai carried the buildings materials personally from the foot of the mountain together with his disciples to build the monastery. 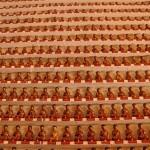 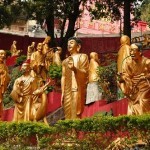 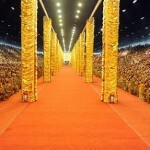 Meanwhile, it took eight years to complete all the buildings and another ten years to finish the 12,800 Buddha statues. 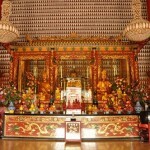 And today, his preserved body is presented in the main hall of the monastery in a glass case, often the main attraction of the temple.